i’m at the start of a two-week East Asia trip (a workation, sadly, since i can’t take time off, so my schedule [and energy levels] will be all out of whack) — and my first stop is an overnight in Shanghai. 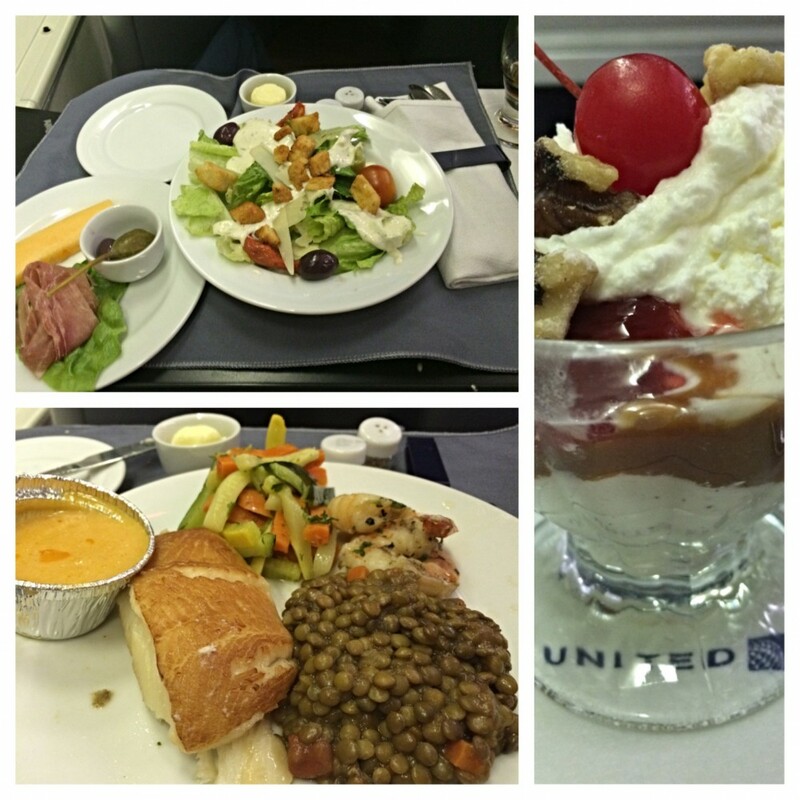 i was lucky enough to go off in Business Class, which i normally never do, but thanks mom for the miles! there’s something to be said for having the privacy of pod-style seating, but look at all this room! so much easier to spread out, especially on the upper deck of the 747 where you get the side cabinets and concomitant shelf space. the food was surprisingly good and i managed to get some decent sleep. also, the wifi, $19.99 for the entire nearly-13-hour flight, functioned adequately. once the satellite reception kicked in, it was uninterrupted, although somewhat slow, for the entire flight, only turning off when we descended below 10,000 feet on landing. 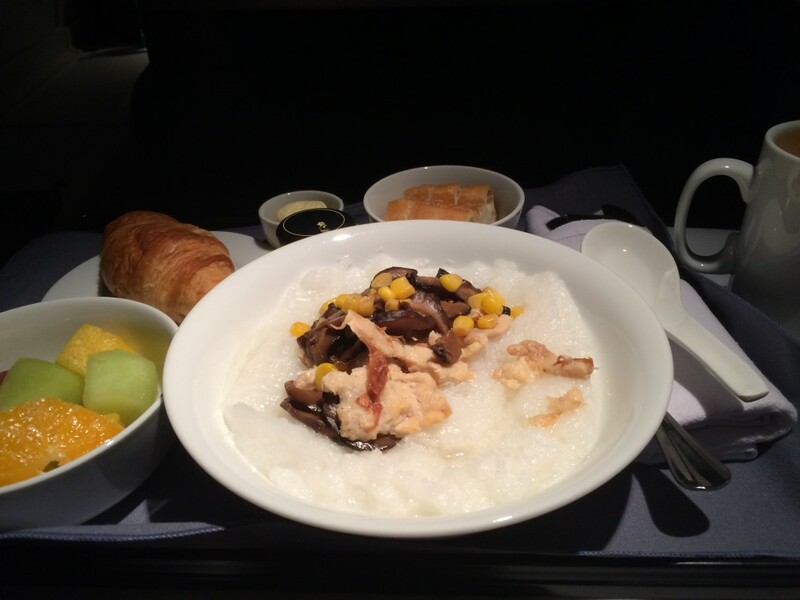 i was feeling ethnic so i ordered the congee for breakfast. it was unlike any sort of congee i’d ever tried before, as the rice was so finely-textured it was almost grits-like or flour-y. i’ve been informed it was likely instant congee! ha! the only bad parts were some snippy flight attendants and a baby that cried almost the entire flight (thank goodness for ear plugs and noise-canceling headphones!). i wrote earlier about the requirements for transiting without visa and now that i’ve done it, it’s not that bad. TIP 1: print out the rules in case you need to show the check-in agent at the airport. you can find the same rules that the airlines refer to at this online portal to Timatic. 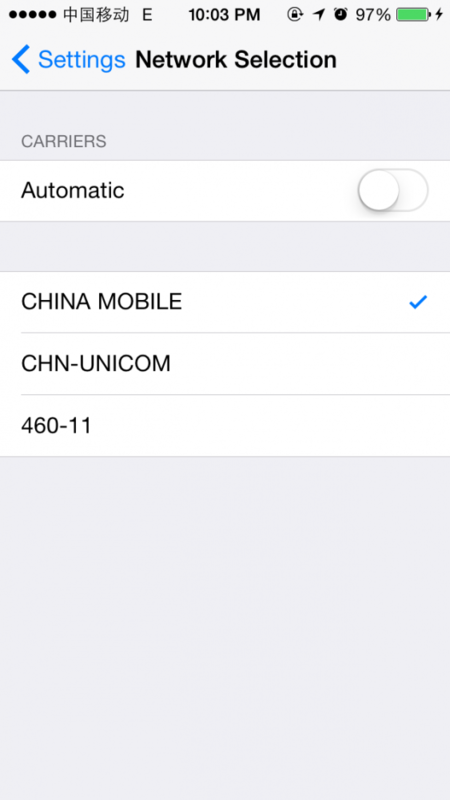 be sure to input your destination country as the third country (not the country you’re flying in from, not China, but the country you are going to, which must be different from the country you’re immediately flying in from), and choose China as the transit point. scroll down and you’ll find the part about extended transiting without a visa in major cities. 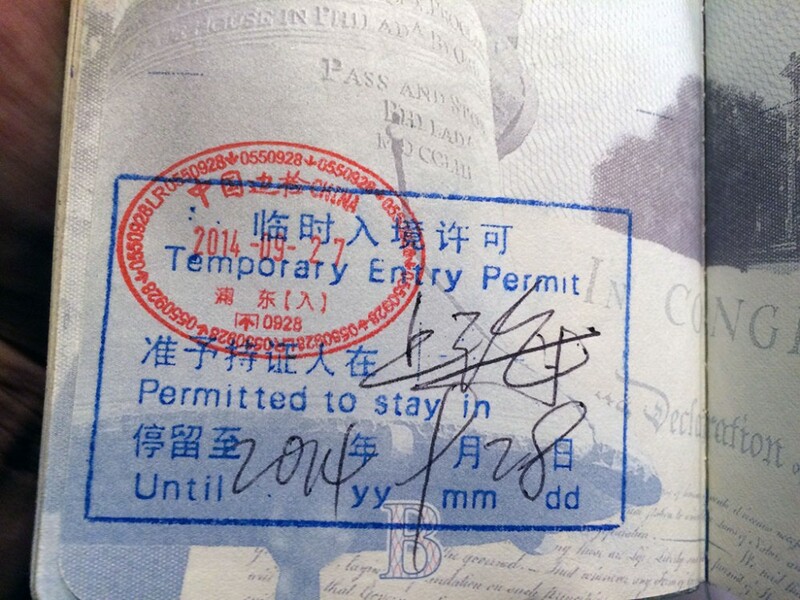 TIP 2: at the Chinese airport, just find the line that says 72-hour transit without visa, or if it’s closed, just go to the regular foreigner line. 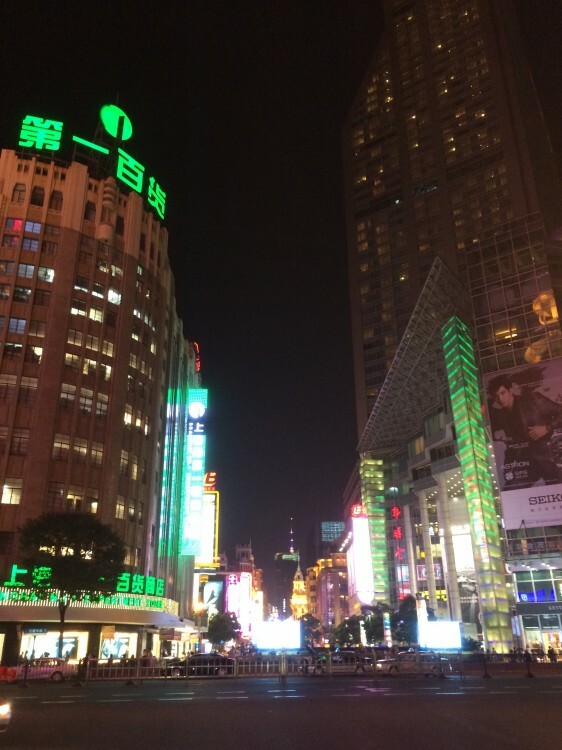 in Shanghai tonight, the 72-hour line was closed, but i had no trouble in the regular line. the agent just needed to call someone over to do the actual stamping of the blue stamp (i guess he didn’t have the authority?) so it took a bit more time. oh, on the immigration card, just put TWOV on the “Address in China” line and be sure to have a printout of your itinerary to prove you’re traveling onward within 72 hours. 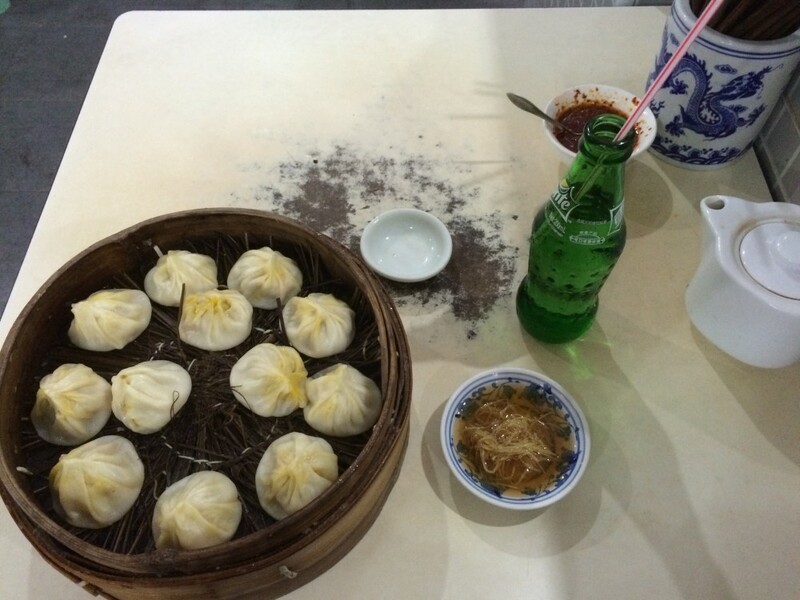 this is the main reason i’m staying overnight here in Shanghai. i just wanted to ride the maglev. it’s been a dream of mine, as a high-speed rail fan, for the longest time. 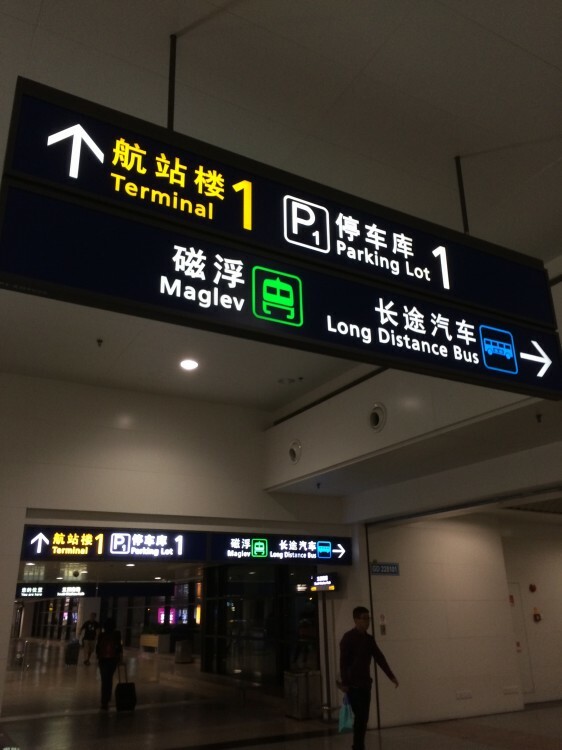 the maglev station is easy enough to find once you emerge into the arrivals hall. just follow the green signs overhead and the small lighted green arrows on the floor. 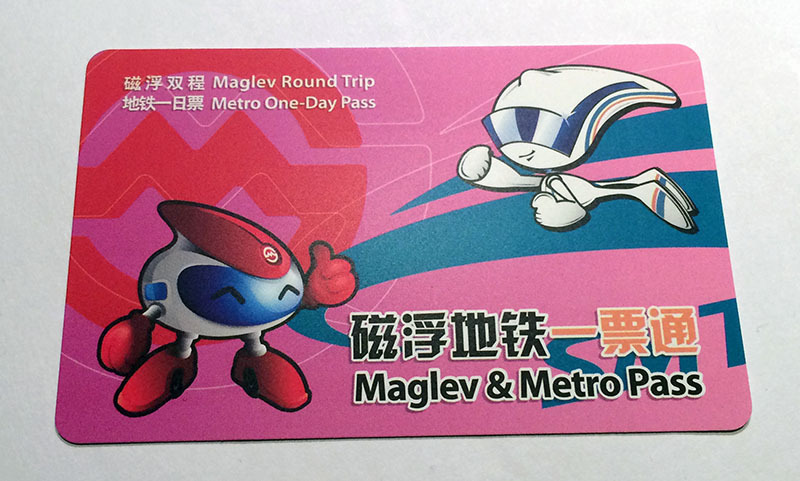 once you get to the maglev station, you can buy a roundtrip ticket for 80 RMB (about $13), or a roundtrip ticket plus a 24-hour metro ticket combo card for 85 RMB. i chose this option because i needed to take the metro to my hotel at People’s Square and i could just pay for the whole thing using a credit card and not have to bother with a metro ticket machine. 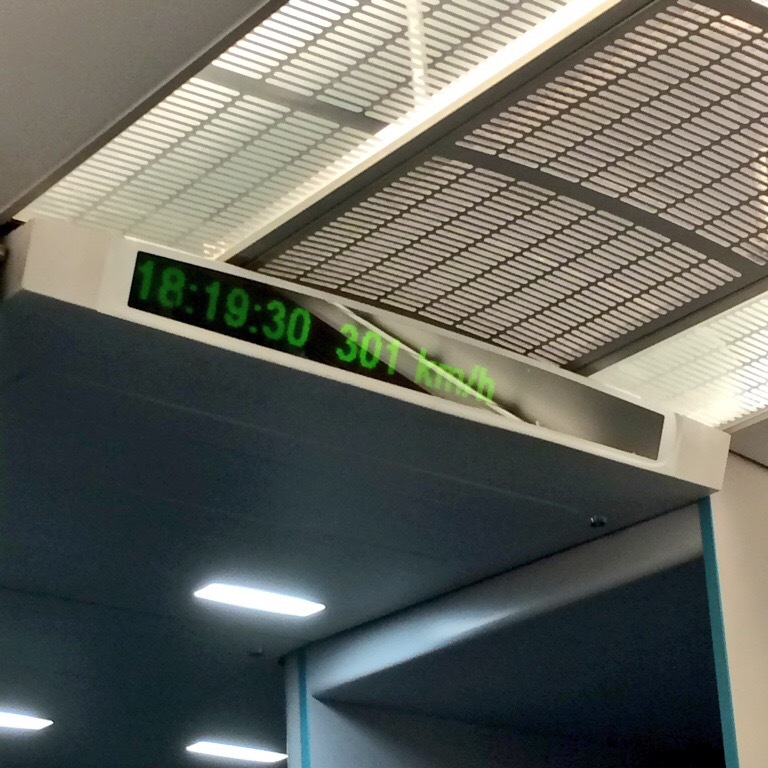 by the way, it’s a pretty easy transfer, just exit the maglev station at Longyang Road, go downstairs, and cross the street to the metro entrance to Lines 2 and 7.
the maglev ride itself was amazing! so fast, quiet, and smooth! 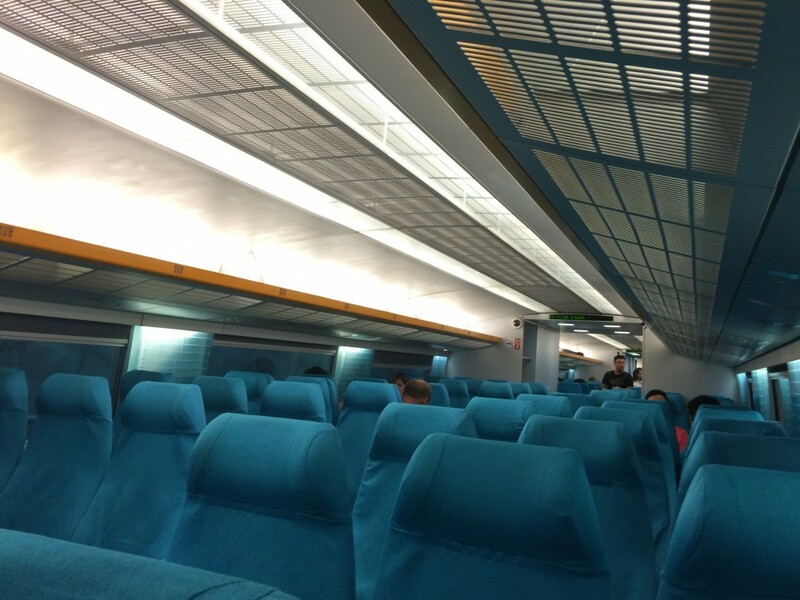 the interior of the train is nothing remarkable, though, and remember that there are only certain times that the train goes at full speed, 430 km/h (267 mph). i can’t wait until i do it at full speed (and in daylight) tomorrow when i return to the airport! thank goodness the subway has signs and announcements in English! easy-peasy to get to my hotel, i took a brief stroll around after i checked in to grab some dinner, thanks to some instructions written up by twitter friend @cybycmu. 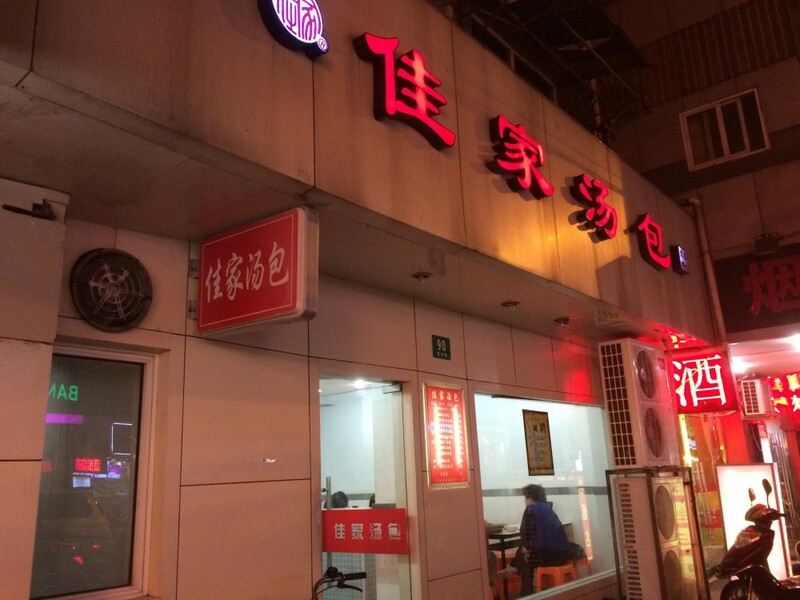 i was instructed to go to a place called 佳家汤包, Jia Jia Tangbao, for some xiaolongbao, or XLB. 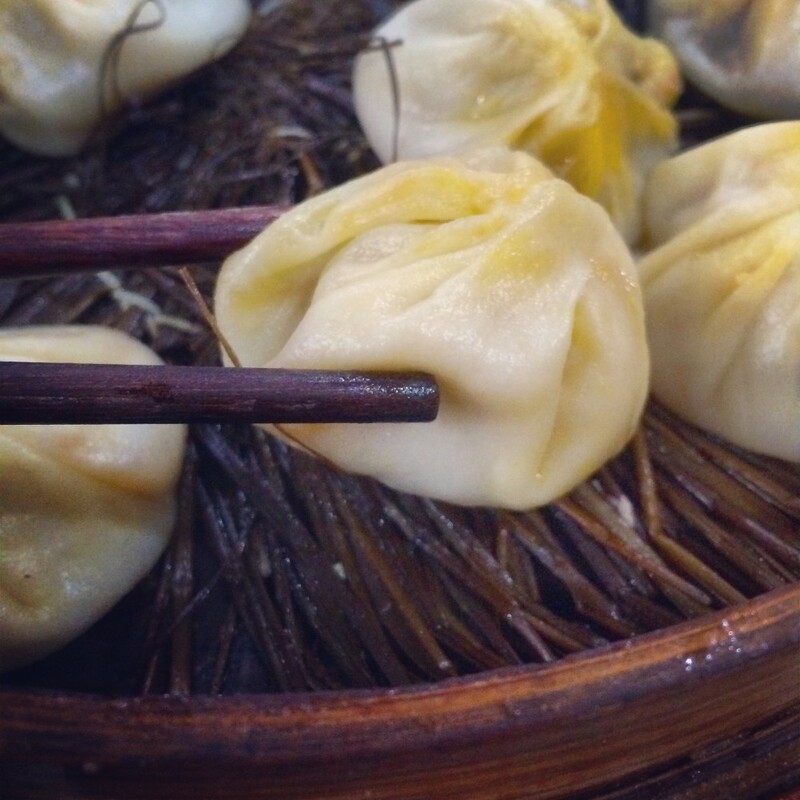 now, i LOVE me some XLB, and didn’t know what to expect since i really did enjoy the XLB at the original Din Tai Fung in Taipei — perhaps the best-known restaurant chain for this type of food. but this hole in the wall was a. ma. zing. 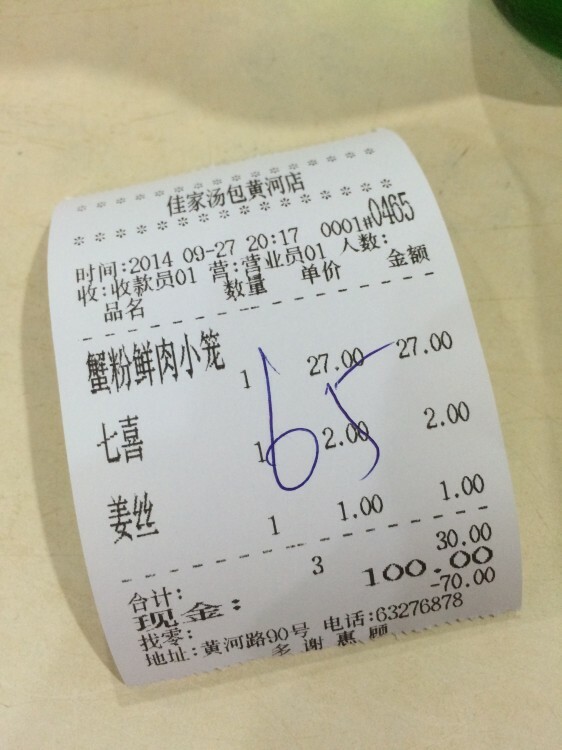 once you enter, place your order at the cashier (she speaks minimal English and has an English menu), get your receipt, and sit. if you ordered soda, stop by the cooler in the back where someone will get it for you. update thanks, as always to twitter friend @travelpeon (who really does know it all when it comes to these things) for a brief explainer as to why i don’t need VPN. the T-Mobile SIM i’m using has a US gateway to the internet. before the airport, my plans are: pan-fried dumplings and 430 km/h maglev! HOLLA!